Similar as chadvone. I have bought zebralight headlight, because all the praises I’ve heard. It’s well made, light output is good, I like the low lumen modes, but that UI is terrible and unintuitive (for me). Because of that, I don’t plan to buy any other zebralights. Latest crop of Zebralights has a programmable UI. Here’s hoping for a ZL with mag ring UI controlling an E21a/Optisolis Quatrix. One of these days. I keep reading how everyone that owns one loves it. I don’t think I can recall a bad review or experience with the company. I am slowly seeing price creep in my purchases. The driver efficiency is great. The host / build quality is good. Ergonomics are usually pretty decent. Overall size is usually quite compact. Output is generally pretty good, and spans a wide range from super-low to reasonably high.  A variety of emitters are available. However, the UI isn’t great, the tint is usually not very white or very consistent, it’s extremely mod-unfriendly, many of the emitter choices aren’t great, the lens coating tends to make the beam green, recent models crush batteries, and the prices tend to be relatively high. It’s a mixed bag, so it really depends on what you value in a light. I use a H52Fw for headlamp purposes, though I’ve been meaning to make a nicer custom one sometime. Otherwise my only ZebraLight use these days is to occasionally pull out a SC52 as a lumen measurement reference. Do the new ones have mode memory? The mode memory, if it can be called that, remembers six things in the default mode group, and nine things in each of the two extra mode groups, plus one more thing in the strobe group. So if viewed from a certain angle, it has 25 mode memories. But if you want it to automatically come on in whatever mode you were last using, no. It doesn’t have that. Well, sort of. In G6 or G7, it can be programmed to use the 1-click slot in a manner similar to mode memory… but it takes a minimum of 15 clicks to change the level, so I don’t think that really “counts”. Didn’t think so. Simple mode memory is a big plus for me. I always thought electronic components could be sourced cheaply. Once a driver is designed and parts are bought, why can’t a regulated driver be produced for next to nothing? Or why hasn’t someone reverse engineered the Zebralight and stamped it out? I not advocating this but simply wondering why good drivers have to be expensive in this day and age. Powerful calculators can be had for $10 that do more than my first Texas Instrument that cost hundreds. I fail to understand this too. Sure, regulated buck/ boost drivers have many components, and buck or boost drivers have more components than regulated FET drivers, and FET DD drivers have very few components, but i can’t see why they can’t put nice drivers in budget lights for 2 or 3 $ more either. I guess it’s not a selling point for the targeted buyers.. It would increase the price by 25% sometimes.. It would be great if more brands sold their drivers separately, like Sofirn and Convoy do. Skilhunt and Nitecore have nice buck and boost drivers too. I didn’t know Skilhunt uses buck boost drivers. Do you know which models? I’ve been trying to figure out what kind of driver the H03 uses but its not clear to me. No, those are buck drivers. Buck / boost drivers are rare. It seems the Klarus Ci1C has a buck / boost driver too, to boost for CR123A and to buck for LiIon, als depending on the modes. I’ve got an SC52w and even though it’s supposed to be Hi-Cri “neutral white”, the tint is a bit more greenish than on Nichia lights I own. The button control is super. I like that classic design that Zebralight is reusing on most of their lights. My only real complaint is that on high it tends to get very warm in short order… faster than I’d expect for the lumens produced. I feel your pain. I purchased that light twice…unseen…once was from a reputable dealer around here that I will not mention. He even said it wasn’t green…when I got it I wanted to puke. Drove me away from ZL. Guess it was the luck of the draw coz others swore there was NO GREEN…. That said, ZLis one light I would have to purchase in person. Older Zebralights (a few years ago) tended to be somewhat green, and the tint lottery could be pretty wild. But my last few Zebralights (SC5w, SC600w HI, SC600w Plus, and SC64w HI) are all very nice. IMO, it’s not too bad, and it’s my worst one in the past few years. (SC52’s are worse, but they are several years old.) The ones I like best are the ones with the XHP35 HI emitter, that is, the SC600w MkIV HI and the SC64w HI. Those are very nice tints, clean and even beam, no hint of green. Basically, if you want to avoid tint shifts in the beam of any light, stay away from domed Cree emitters. The XHP35 HI gives very nice beams. As for the user interface, that is totally subjective. IMO, it’s the best thing about Zebralights, and I love the programability they added last year. It makes me dislike the user interface on all my other lights, even though many do have decent interfaces. DMAN, I purchased a sc64w in part because of your post. Thank you. It is all that. Zebralight had the same effect on me too, at one time. I stopped buying flashlights for the better part of a year after getting my first Zebralight. It was just that good — I didn’t want to use anything else. Eventually I got over that honeymoon period and started playing with some other lights again, but I still have that Zebra, and quite a few others. Its a staple in my collection and in my usage. They’re great lights. After I discovered Zebralight a few years ago, I never looked back. The only other lights I purchase are more Zebralights or throwers (just for fun). I got my SC62 on 10.14.2014. 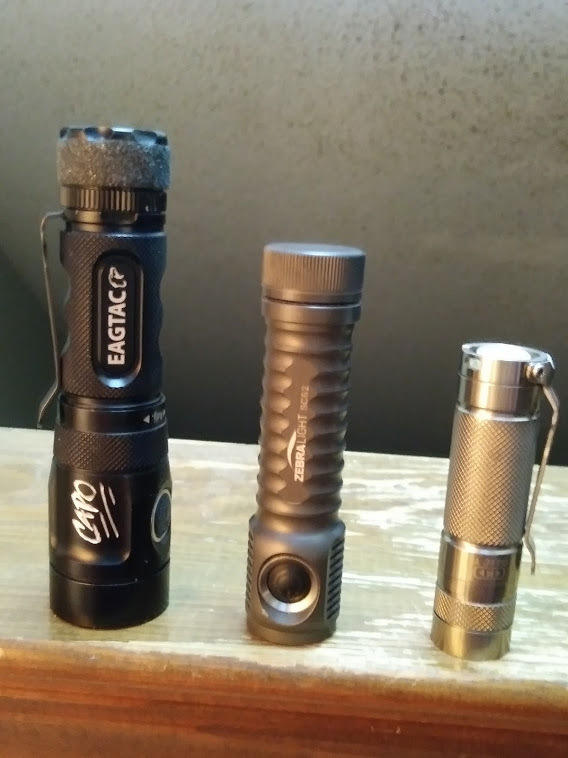 It is my favorite EDC light,,,,,,,,even more so than any of my modded ones because of the small size, great output, simple/useful UI, VERY reliable and takes 18650. Thanks to your post on the SC64c LE and beamshots, I decided to get one. 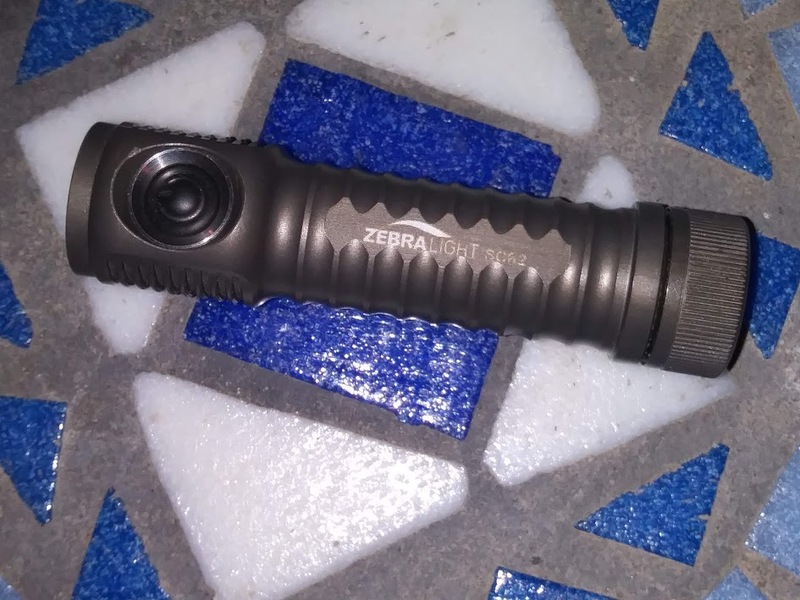 I was internally debating on which Zebralight I would get, going back and forth… I like the design of the SC600, but it seems to be just a little bit big for easy pocket carry, while not delivering a real substantial output difference from the SC64 series. The SC64 form factor appears to be just about right for an 18650 powered light. So then it came down to the SC64w NW or SC64c LE. 475 more lumens on the SC64w… but the tint on the SC64c LE looks terrific. Decided to chance it. I figured since this is supposed to be a limited edition, the strong cult following for Zebralight will probably prize a limited edition over a standard edition… meaning, if I decide to sell it later I’ll have an easier chance of moving it. That is, unless I’m smitten enough to hang onto it. Post some beamshots when you get it, if you wouldn’t mind. Been debating on the LE as well, but worried the beam is too green. I’ve seen more green 351D emitters than not, including three I got in from M.E. that I ended up discarding. Even ZL’s new H503c with the LH351D looks green. emarkd posted his LE that looked pretty good, but thats the only one I’ve seen. I don’t have any experience in making good quality beamshot photos, but I’ll give it a shot. I do have a camera where I can manually control aperture and shutter speed, so I’ll fiddle around and see what I come up with. Some weeks from now, when I have the light in hand. OP had me sold until I looked up the price. You’re suffering from newbie sticker shock. We all go through it. Those who stick around get over it and eventually paying $70 on a flashlight becomes painless. You only get a repeat of shock when you see flashlights selling for over $300. Yeah, I don’t find spending $100 on a light I’ll use a lot to be too expensive. Even if I just use it 20 minutes a day for just one year, that’s 100 hours of usage or $1 per hour of entertainment. Going to a movie costs 10x that much per hour of entertainment. I’d rather spend $100 on a light I really like, than $20 on a light that doesn’t really suit me. I’d rather spend $20 on a movie I really enjoy, than $4 on a movie I’d rather not see. I’ve bought plenty of budget lights, but most of them I use for a couple of weeks then hardly ever use again. Every Zebralight I’ve bought I still use quite often, even the ones I bought 5 years ago. They have staying power. There is a limit I can’t really get over, though. HDS I just can’t justify as being good value, due to the very high price, poor battery choice, and mediocre output. Though, I completely understand where it might fit really well for someone else’s requirements and so be good value. I get mildly amused when someone has a thread going, asking about smallish EDC lights and then someone comes around showing off their Spy 005 saying “it’s a bit expensive, but worth it.” Umm… $1,995… a bit expensive? Brag moments. I guess some people can’t resist. Hey lookie at this super expensive light I got that I love to death! Don’t you wish you had one? HDS is a quality light, but way over priced. It has a devoted following, mostly those people who have patronized the brand over the years and get a euphoric feeling buying a new HDS. The McGizmo lights are beauties, and a little more “reasonable” for custom lights, but man… it’s a lot of money. If you’re good about never ever losing a light, it’s probably a good deal, especially since they’re designed to be upgraded (so when better emitters come around, you’re not stuck). We’re into the platinum age of LED flashlights. The kind of power and quality we’re getting from some Chinese brands these days for the dollar is stellar. Take one of these lights and go back 10 years… and you’d make flashaholics faint seeing them. I don’t know how much better it’s going to get… there is that heat factor that is hard to escape. It’s not like the microchip miniaturization curve. So now that there’s ample power, the focus is on tint and UI. Eventually the LED makers will be able to precisely control the tint of a produced LED, such that there’s not much of a lottery to worry about. And who knows, maybe COB will make another breakthrough. Imagine having a flexible PCB. You could make a real photon based light saber, with tiny COB’s covering the whole cone. I am finding myself narrowing down a bit as well. I’m becoming more bullish on Zebralight despite a recent spike in QC issues. And it’s a very progressive time with all these new UI’s popping up all over. I think in a few years it’ll settle down. I don’t want to invest in many more lights now. I mean just look at the FF E07. Great light, but problems… FF is working on ‘em. That’s great. Early adopters are having fun. No thank you, I can wait. I think the price point is going to keep coming down for those lights experimenting on the leading edge. Lights going for $200 today will be down to $100 in about 2 years. It’s refreshing to see people talk about it this way, because for a lot of us here, flashlights are really not just about practical usage. Optimizing for purely practical purposes and minimum expense, most people would probably get by just fine with a light costing $20 or less, or even a cell phone. But that’s not what we’re doing here… not really. This isn’t just about not tripping over things in the dark. It’s a hobby, a thing we enjoy doing. That’s why we get more lights than we really need, why we write thousands of posts on a forum of enthusiasts. And, as far as hobbies go, this one isn’t particularly expensive. Compare it to video games, or musical instruments, or cars, or travel, or any number of other hobbies, and this one is a pretty cost-effective way to get enjoyment. I mean, except for the few who collect $2000+ hand-made customs with skull clips and exotic metals. But for the majority at least, the dollars-per-hour rate of a flashlight hobby is reasonably low. But if someone just wants a modern light for purely practical purposes, they should probably get a Convoy or a Sofirn instead of a Zebralight. The S2+ and SC31 both make good non-enthusiast lights, and the latter even includes a battery and built-in charger. Well said. It’s a hobby. And once you have the supporting gear (batteries and charger) it’s extremely inexpensive. The last 2 lights I got were special in their own way. $6.50 and $46.50. I got into lights to enable me to get out more. Now they also compel me to get out more just to play with them.